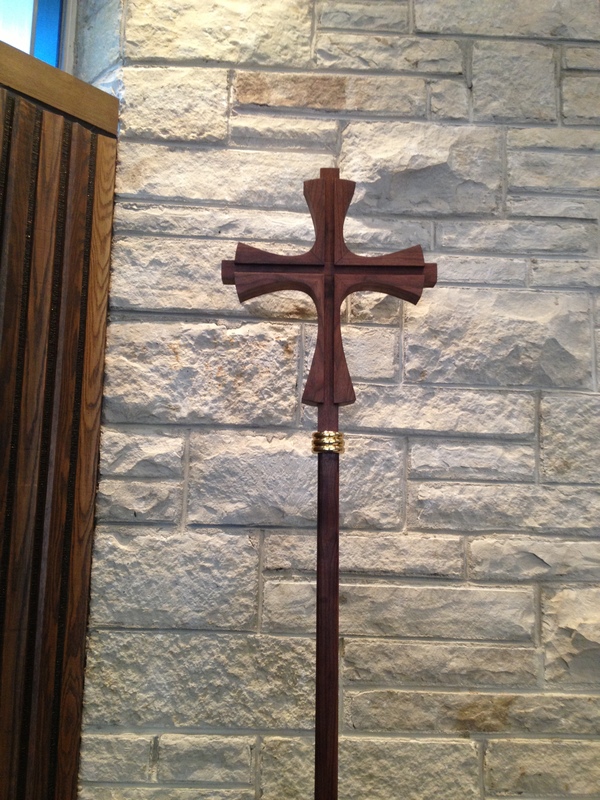 On Sunday, January 13, First Lutheran dedicated its new processional cross in worship. Made by local craftsmen, modeled after our sanctuary cross design, and given in loving memory by a member family, this cross will be a meaningful addition to the worship of First Lutheran for years to come. 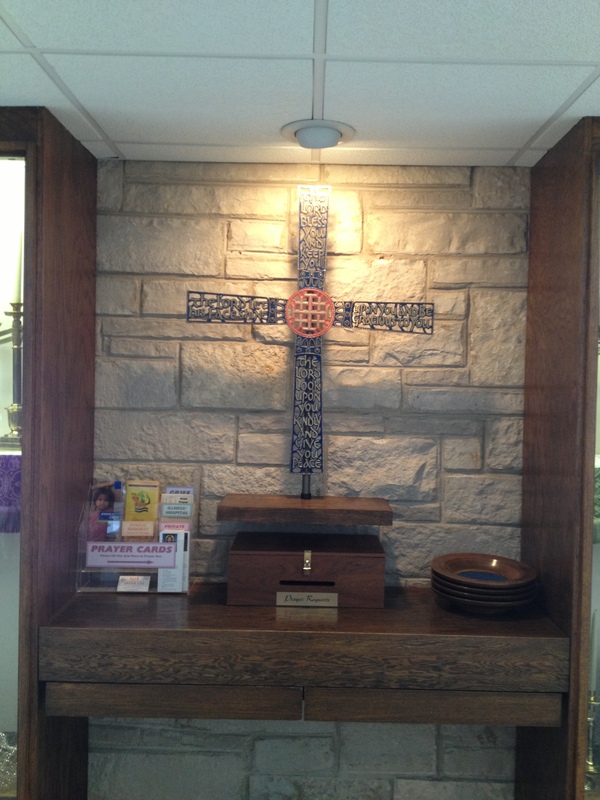 We also retired our former processional cross to a new location in the narthex, between the display cases. The former processional cross fits perfectly in its new space, and the message on the cross is such a wonderful reminder as we depart from worship each week. If you missed our dedication, please feel free to take a look at both of these beautiful worship pieces up-close this Sunday!